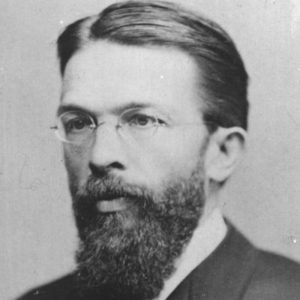 Carl Menger is the founding father of the Austrian School of Economics and – by writing his “Principles of Economics” laid out the intellectual groundwork for the further output of Austrian scholars. One of the main themes of the book is the idea that the value of a good is not determined by factors that can be objectively determined (e.g. labour or material costs), but by subjective valuations of the good by individuals. In that sense Carl Menger can be seen (alongside Leon Walras and William Stanley Jevons) as one of the founders of marginalist economics, on which the whole body of modern economics is built up. A very important occurrence in the history of origins of the Austrian School was the so called “Methodenstreit” (dispute over methods). In this Menger was confronted with the counter-position of the German Historical School, which’s members denied the existence of economic law altogehter and accordingly did not see any role for the use of theory within economic research. Menger on the other hand did not deny the relevance of inductive-empirical methods, but was convinced that empirical analysis always has to be based on some sort of theoretical framework. The course that economic science has taken since the late 19th century certainly proves Menger right.